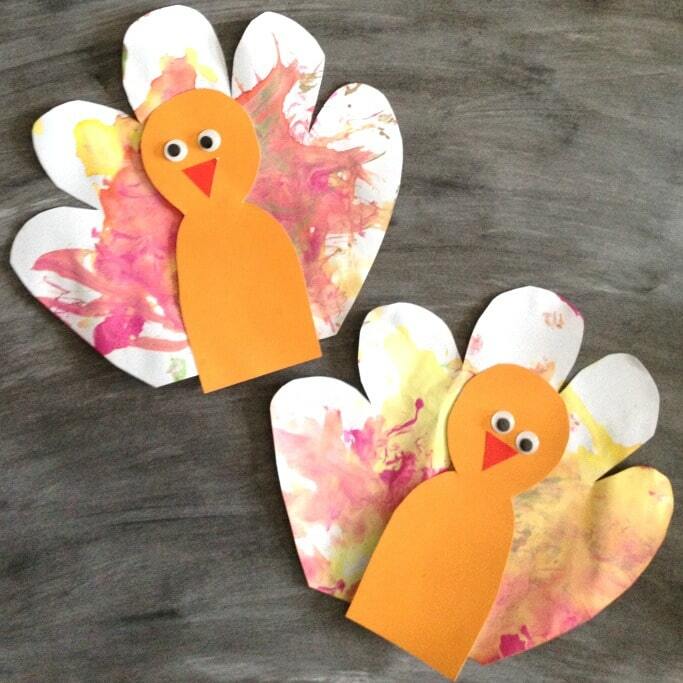 We had so much fun making our stained glass turkeys last week that I thought I’d give easy Thanksgiving crafts another go with this cute feather painted turkey craft for kids. I did this craft with my daughter who is two so as one is her painting and one is mine you can see that it’s a craft that really is suitable for all ages! Want to know who’s painting is which? Well keep reading and you can see if I can paint better than a two year old! 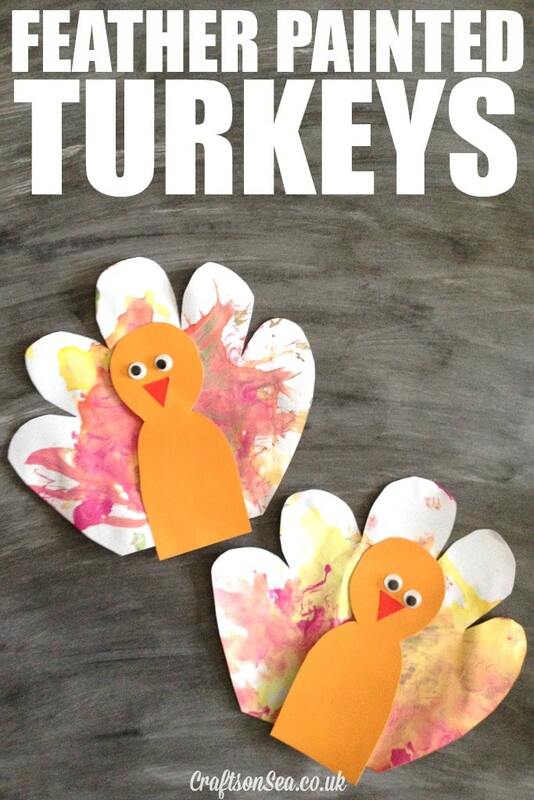 I cut the turkeys body out of brown paper, his beak out of red paper and his body out of white paper, as my daughter is only 25 months this would have been too tricky for her but older kids could do this themselves, perhaps with an outline drawn on first for guidance. I laid out different colour paints on a plate for my daughter and gave her a feather to play with, although I’ve tried out how many different household items my son could paint with it’s the first time my daughter has used anything other than a brush or her hands so I did painted a turkey too to show her how to do it, needless to say it only took a moment before she got stuck in! As normal I kept a packet of baby wipes on hand to clear up any paint that got on the table, this is a bit of a mucky activity and as you don’t have a solid brush to hold on to it’s likely your kid will end up with messy hands too. 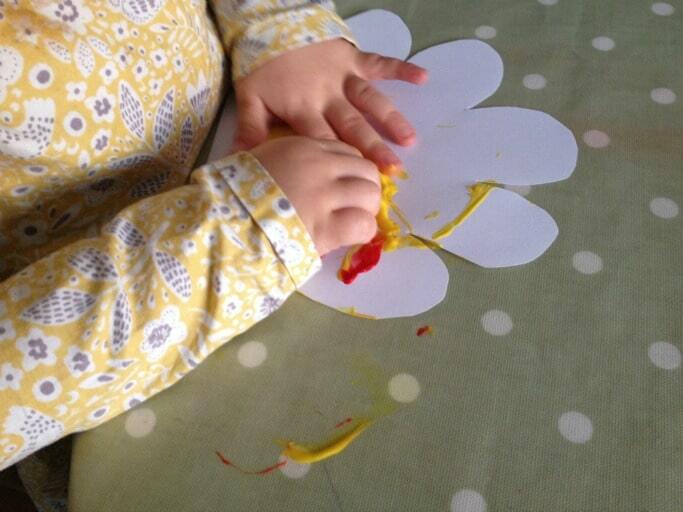 Still, if they enjoy messy or sensory painting then that’s all good! Once our paintings were finished the turkey’s bodies and beaks could be stuck on along with some googly eyes. *Mine is the turkey at the top. Did you guess?!? Such cuteness! These look really easy. We’re starting to get into craft in a big way in our house, do I’ve bookmarked this for the run-up to Christmas.